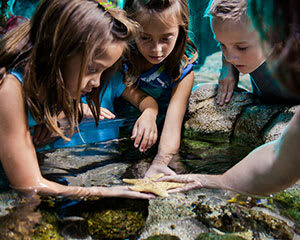 With interactive animal encounters, iconic state-of-the-art displays, animal feeds and diver presentations, SEA LIFE Melbourne Aquarium is an excellent, educational and completely engaging experience. Home to over 10,000 aquatic animals, including one of the world’s largest Saltwater Crocodiles residing in the state-of-the-art Croc Lair exhibit, SEA LIFE Melbourne Aquarium takes you on an interactive adventure from the depths of the ocean to the icy waters of Antarctica. The stunning new Croc Lair Exhibit is just one of the 12 new zones of discovery at SEA LIFE Melbourne Aquarium, where you can marvel at the world’s only display of Elephant Sharks in Bay of Rays, be mesmerised as you experience a rainbow of colours at Seahorse Pier and explore a world unlike any other and marvel at the majestic King and cheeky Gentoo penguins in Penguin Playground. Remember to bring your printed Adrenalin confirmation with you on the day. Exciting Be prepared to get pretty physical. This adventure will be interactive so concentration and focus are a must. The hairs on the back of your neck will tingle as your comfort zone is nudged a little. Go in with an open mind and a focused attitude. Enjoy! Note that you must book the date of your visit with Adrenalin! SEA LIFE Melbourne Aquarium is open from 10:00 till 5:30 on weekdays. During weekends and school holidays, open from 9:30am to 6:00pm. Please print your Adrenalin booking confirmation and take it with you on the day.